I treasure my nation’s art and culture. I am today a player in its creative industry, with my own fashion brand. Moreover, I am a native Jakartan, who lived in Surabaya, second largest city in Indonesia. During my 13 years in East Java, I have met some excellent local textile artisans. I have frequently applied modernized handmade batik and innovative machine jacquard weaving textile named sarong in Indonesia. As a fashion lecturer, I often seek new learning from a fellow senior fashion educationist. Last November, I fulfilled my promise to visit her home, a workshop in the west side of Surabaya. 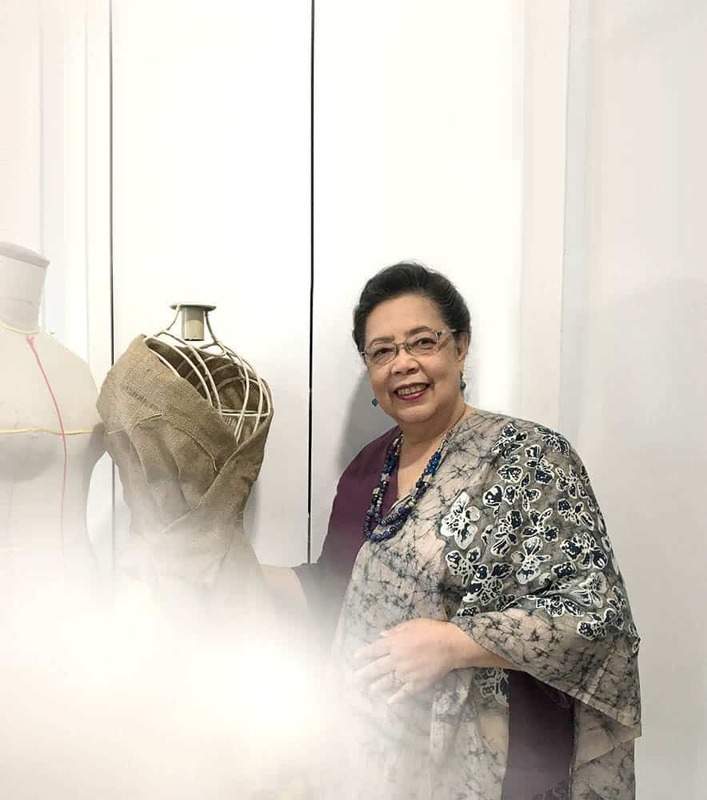 Mrs. Aryani Widagdo was the founder of Surabaya’s prominent fashion school, established in 1989. Its alumni contain many of the professional designers for Indonesia’s fashion industry. I have known her since the year 2005 when I setting myself up in Surabaya. We share a fondness for Indonesian textiles. I was excited to see how she had made Indonesian woven textiles into easy, wearable garments. They were the first lightweight and comfortable weaving textiles by far I have discovered. Ibu Ary, as we usually called her, she has introduced me the owner of this beautiful weaving textile is a young woman with broad-minded and noble thought. She has given new chances for street people, hoodlums, jobless single mothers without experience as weavers for opportunity learning new things and build their life skill. One of Ibu Ary’s alumni, the bright young Melie Indarto, has shared her story from a long distance online interview, since she is living in Jakarta with her husband, and also managing her time at the textile workshop in Pasuruan, East Java. About the background of Melie Indarto, how did this passion develop for Indonesian textiles? How is the brand of modern Indonesian weaving textiles, KaIND, founded and developed? Understanding these entire complex and overwhelmed issues, I hope to adjust the situation as agent of change starting from my very small circle, which at my neighbourhood in Purwosari, Pasuruan. We started with the knowledge that the local wisdom in the district has been greatly reduced due fast fashion industry. I was regularly invited by these elder weavers and batik artisans for discussion and to teach me the process of weaving and batik. Afterwards, we built a small community to develop handwoven batik tulis scarves and cloths, teaching the people without any experience as weavers and preparing them for the cultural and heritage regeneration. And now, KaIND has working with the young people who were used to be freelance construction workers, truck drivers, single mothers and unemployed individuals as well. It starts by providing them life skill from weaving and batik knowledge. 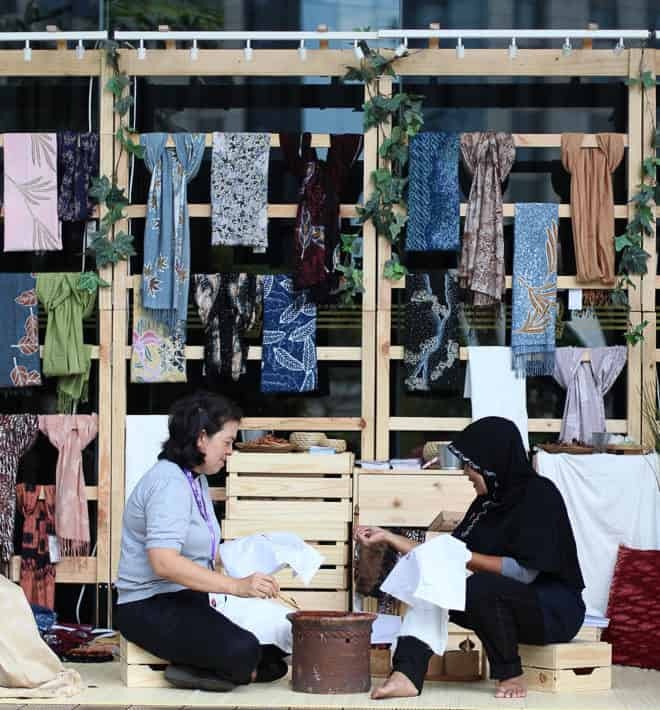 At this moment they are already provided with their regular monthly salary and secure the continuation of hand-woven batik products by elevating the status of slow-fashion products. As we are aware KaIND’s textile artisans are from inexperienced workers, not from senior weavers, how is the background of community service for engaging ex–hoodlum community and as giving them the chance achieving new skill for their development of life? The keyword is “community”. I firmly believe that within ourselves must have our very own essence of being an artist, and since the delicate process of hand-weaving requires a lot of experience, attentiveness and time. The youths have to learn together from the senior handweavers and batik artisans as equal partners. Every single day we learn and work together as a community and we take pride in creating slowly-made one-of-a-kind fabrics that cannot be done by machines. Could you describe the variety of KaIND products and initiate the difference and uniqueness of products, for example, the difference between Tuban’s Tenun Gedog with KaIND’s Tenun Gedog Shibori? Our products include lightweight handwoven handmade batik scarf, hand-woven zero waste apparels and hand woven cotton home living collection, such as pillow cushions and table runners. 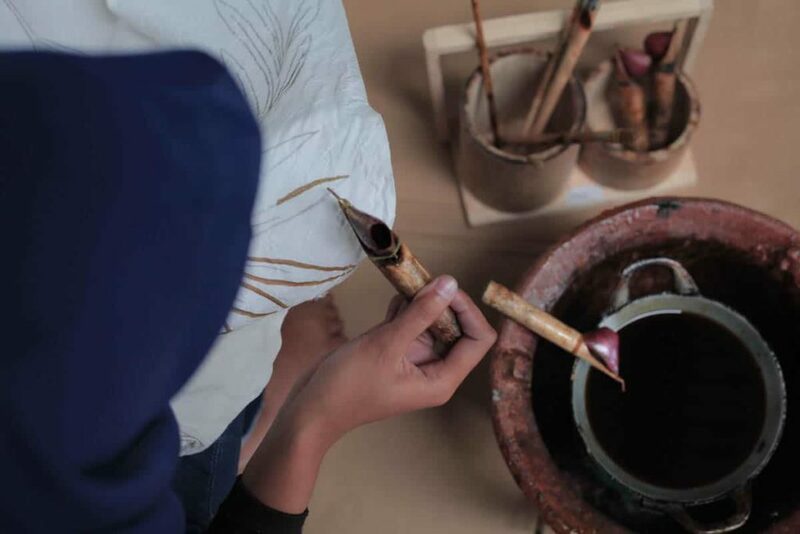 We like to keep all of our products natural and fully handmade by talented and young people in Pasuruan because we believe in human excellence to deliver a premium and unique handcrafted products. 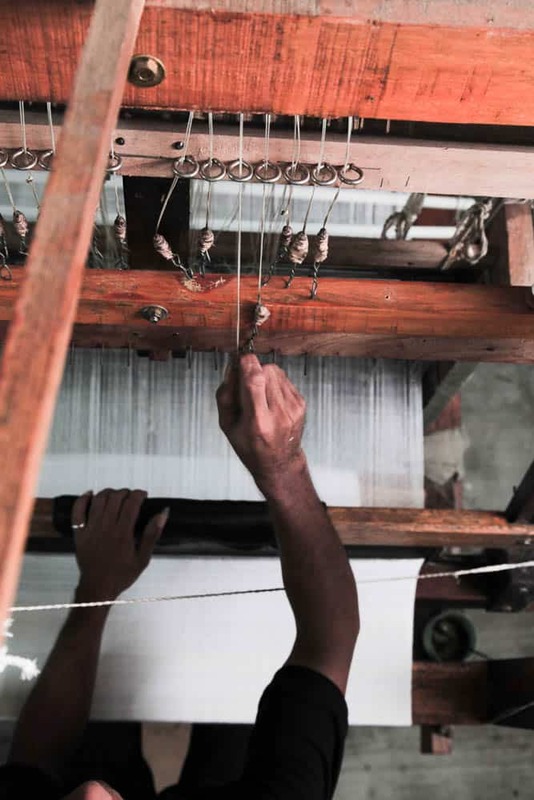 In order to differentiate, thread by thread, the cotton, rayon and silk yarn are loomed on the traditional handmade loom that uses no electricity at all. This leaves a beautifully soft and smooth feel on the skin. 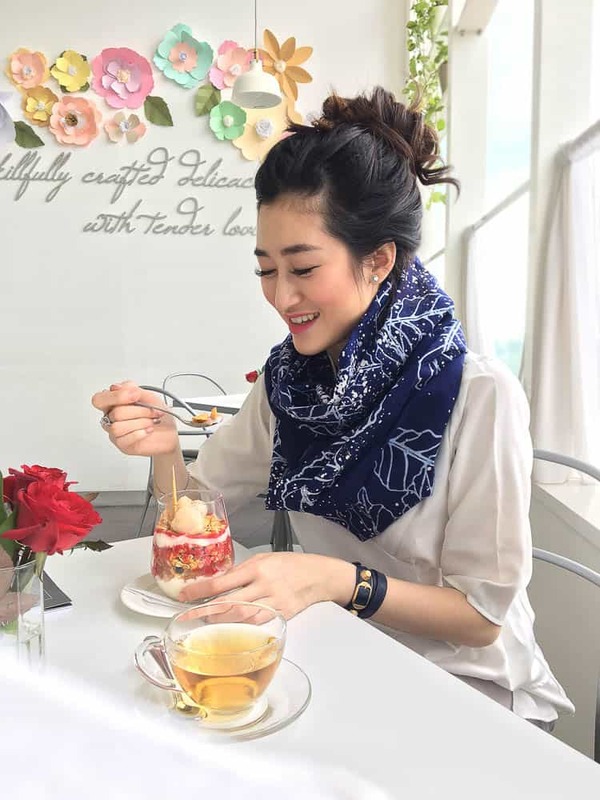 It gives us endless options for different styles from summer to winter season, a faithful companion to endure cold temperature without looking bulky and still feel comfortable. Any plan to engage Indonesian native small and medium enterprises for producing modern and market – ready with international standardization of Indonesian textiles? Yes, definitely this will be good for a further plan, as we are a community-based brand and we firmly believe only through collaboration that will expand the presence of slow-fashion products because one of our missions is always to share the beauty of handcrafted textiles from Indonesia. We find joy in collaborations, partnership with people who share the same vision and belief. That is why we continuously support the development of local skills and community, teaching and nurturing the youths, and offering fashion with a sense of emotional belonging by telling the story of how these textiles made and how we are preserving the heritage through slow and sustainable fashion. Finally, how about future plans of KaIND? Well, we will keep doing the sustainable textile since this is a good beginning for Indonesian textile development, exploring the beauty of our local wisdom, keep improving the quality of our handcrafted one-of-a-kind products in the least damaging way to the environment. In the end, we all have a responsibility to look after our earth and our nation because it is our only home. Janet Teowarang is a founder and creative director of her own fashion brand, Allegra Jane. She is also a lecturer at Ciputra University, Surabaya. 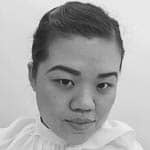 Janet is one of batch two alumni from Australia Awards Indonesia Short Term Awards of Fashion and Textile sector. She loves the history of fashion, world art and crafts, very excited visiting every museum when she travels around the world.